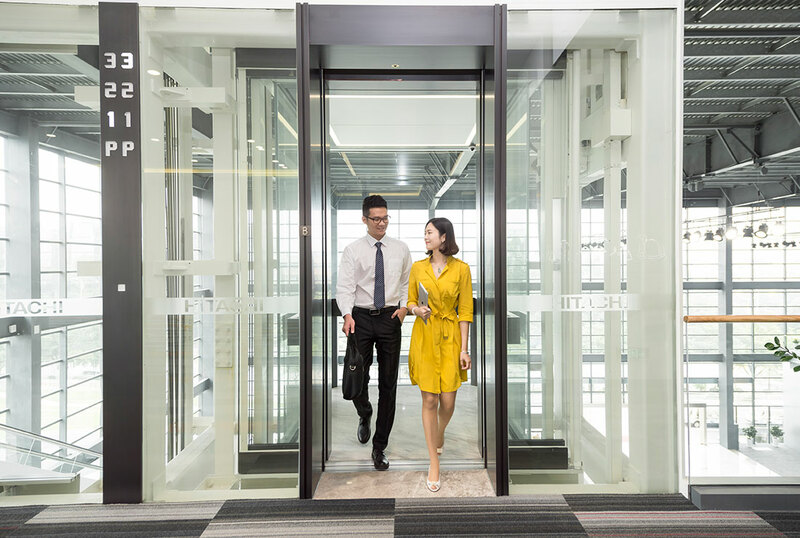 The talent concept of Hitachi Elevator: respect, toleration, and mutual growth. We make great efforts to create a good atmosphere for talent growth, establish a talent development mechanism, provide systemic support and ensure the input of resources to accelerate the growth of talents. In order to effectively help the growth and development of employees, the corporation has established a professional development system, comprehensively, and set up a number of career promotion paths for the characteristics of different professional groups, covering all fields and professional staff, including administrative channels, professional/ technical channels, and operating skills channels. At the same time, employees can also achieve "lateral development" between different channels, according to their own situation. The corporate's core talent management system, professional technical skill assessment system, high-skill talent evaluation system, cadre selection, appointment management system, etc., are interrelated, complement each other, and constitute a relatively perfect system of employee career development. Hitachi Elevator started the Sun-Rise Program, a inter-disciplinary, technical, talent cultivation program, in 2013. This program is led by the HR Department and unifies the training center and business unit to design the cultivation system. It adopts small classes for concentrated off-job cultivation. Under joint promotion by the specified head teacher, business adviser and project team members, the program consists of induction psychological counseling, business process learning and practice in a large technical system, field study and practice in a workshop and on the engineering front line, team spirit molding, and enhancement of sum-up ability, etc. In addition to speeding up the reserved talents' psychological adjustment and adaption to the company, it also cultivates inter-disciplinary, technical talents with basic work skills, working attitude for large technical systems, and a complete vision and innovation ability.